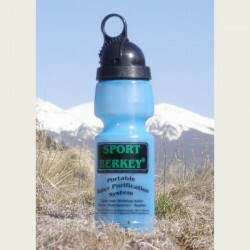 Taking water filtering portability to an all new level was our goal when we developed the Sport Berkey filtering bottle. Berkey's ability to take water from untreated outside sources and convert it to healthy, good-tasting, drinking water is legendary. Until the introduction of the Sport Berkey only stationary water filter systems were able to accomplish that goal. These units rely on gravity to push water through the purification medium. With the introduction of the Sport Berkey, stationary units that rely on gravity are no longer required. This portable sport bottle relies on pressure developed from squeezing. This pressure is much greater than the pressure created from gravity alone. 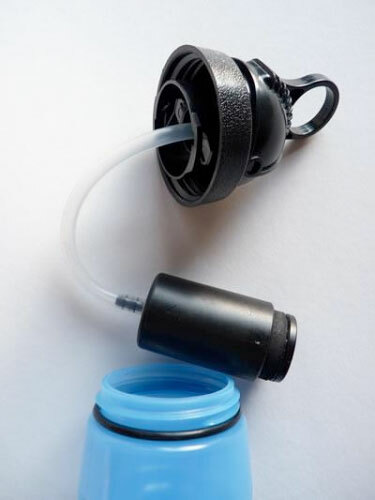 This added pressure allows a purification element small enough to fit inside a sport bottle. Having the ability to filter water from an outside source offers a huge advantage to your on-the-go lifestyle. Lets say, for example, you were planning a hiking trip for the day. During high activity events like hiking your body requires up to twice the water you would normally drink. For a day long hike, you need about 1 gallon or more and it would weigh at least eight pounds. 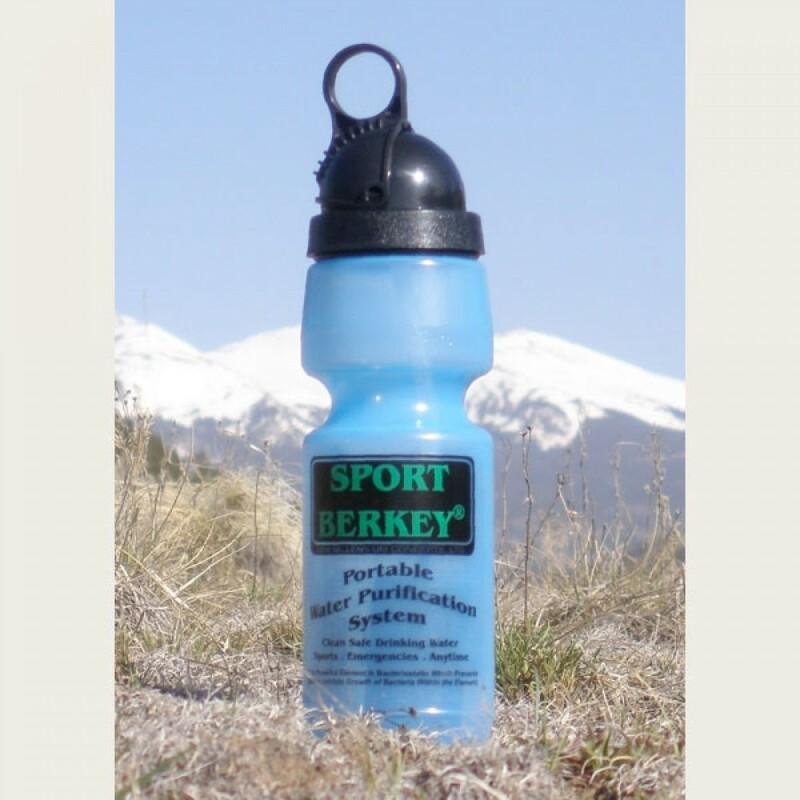 If you were using the sport Berkey you could start your hike with only 22 ounces of water and fill it from an outside source like a stream, river, lake or pond. having this ability to get hydration as you go would lighten your load by almost seven pounds. Another advantage of the Sport Berkey water bottle is that it allows you to have healthy water that is free of chemicals like chlorine no matter where you are. Take one to work and turn ordinary drinking fountain water into great tasting chemical free hydration. 22 ounce portable water purifier bottle. Compact easy to use design allows you to take legendary Berkey water purification with you anywhere. The Berkey Sport has the same filtering material as the Black Berkey purification element only smaller. Each Filter produces 240 refills of drinking water before needing to be replaced. Positive O-Ring seal. Convenient flip top will not leak. Replaceable filter element.